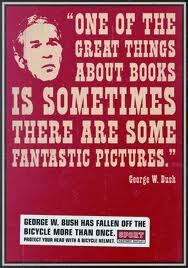 A recent poll showed George W. Bush's numbers improving, as he left office "...with a 23 percent approval rating, but now, as his presidential library is about to open in Dallas, he's back up to 47 percent. But he's got a way to catch Bill Clinton...Bush’s polls are still underwater, in the sense that more people – 50 percent of respondents, in the Post/ABC survey – disapprove of his performance than give it thumbs up. And for W., 'highest poll numbers since 2005' is not a high bar, given that his approval rating began to plummet about then and bottomed out at only 23 percent about the time he left office...Plus ex-presidents typically see a gradual but steady rise in their popularity after leaving office. Their failures fade, their successes seem hard-won in retrospect, and they’re not engendering any more controversy. Famously, Jimmy Carter rates much higher in the public esteem today than he did in 1980. Bill Clinton? The Big Dog remains the nation’s most popular living former Oval Office occupant, according to a Pew Research matchup...'George W. Bush helmed a war of choice that proved, in the end, to impose powerful constraints ... for American foreign policy. He pursued his foreign policy aims in such a way as to dramatically lower US standing abroad,' writes Drezner (Dan Drezner, Fletcher School professor of international politics). A billboard along Interstate 35, taken on Feb. 9, 2010, in Wyoming, Minn., carries an image of former President George W. Bush and reads "Miss me yet?". The message was purchased by a group of small business owners and people from the Twin Cities area who want to remain anonymous. 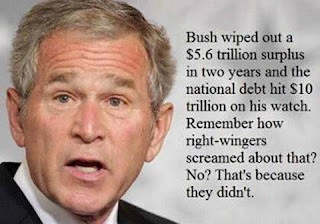 "And at the Washington Monthly, Ed Kilgore, a senior fellow at the Progressive Policy Institute, points out that many more conservative Republicans have criticized Bush 43 in recent years as a big-spending, big-government president in GOP clothing. “'According to a very frequently repeated (if sometimes indirect) conservative account, W. and his minions convinced Republicans to sell their birthright of ideological rigor for a mess of swing-voter pottage that failed politically as well as morally,' writes Kilgore. "Perhaps the most interested observer of the Bush revisionism thus may be brother Jeb Bush, whose 2016 ambitions could depend on how conservative Tea Party types judge his family as a whole." "On Thursday, President Obama and all four living ex-presidents will attend the dedication of the $500 million George W. Bush Presidential Library at Southern Methodist University in Dallas, Texas. Many progressives will remember Bush as a contender for the 'worst president ever,' saying he more aptly deserves a multi-million-dollar prison cell for a litany of war crimes. "Let’s look at 50 reasons, some large and some small, why W. inspired so much anger. "1. He stole the presidency in 2000. People may forget that Republicans in Florida purged more than 50,000 African-American voters before Election Day, and then went to the Supreme Court where the GOP-appointed majority stopped a recount that would have awarded the presidency to Vice-President Al Gore if all votes were counted. National news organizations verified that outcome long after Bush had been sworn in. "4. He loved the death penalty. As Texas governor from 1995-2000, he signed the most execution orders of any governor in U.S. history—152 people, including the mentally ill and women who were domestic abuse victims. He spared one man’s life, a serial killer. "5. He was a corporate shill from Day 1. Bush locked up the GOP nomination by raising more campaign money from corporate boardrooms than anyone at that time. He lunched with CEOs who would jet into Austin to "educate" him about their political wish lists. "7. He embraced global isolationism. He withdrew from the 1972 Anti-Ballistic Missile Treaty, over Russia’s protest, taking the U.S. in a direction not seen since World War I. "8. He ignored warnings about Osama bin Laden. He ignored the Aug. 6, 2001 White House intelligence briefing titled, “Bin Laden determined to strike in the U.S.” Meanwhile, his chief anti-terrorism advisor, Richard Clarke, and first Treasury Secretary, Paul O’Neill, testified in Congress that he was intent on invading Iraq within days of becoming president. "9. Ramped up war on drugs, not terrorists. The Bush administration had twice as many FBI agents assigned to the war on drugs than fighting terrorism before 9/11, and kept thousands in that role after the terror attacks. "10. 'My Pet Goat.' He kept reading a picture book to grade-schoolers for seven minutes after his top aides told him that the World Trade Centers had been attacked in 9/11. Then Air Force One flew away from Washington, D.C., vanishing for hours after the attack." "13. Attacked United Nation weapons inspectors. The march to war in Iraq started with White House attacks on the credibility of U.N. weapons inspectors in Iraq, whose claims that Saddam Hussein did not have nuclear weapons proved to be true. "14. 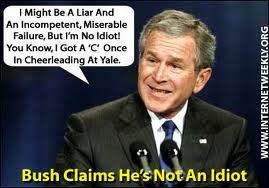 He flat-out lied about Iraq’s weapons. In a major speech in October 2002, he said that Saddam Hussein had the capacity to send unmanned aircraft to the U.S. with bombs that could range from chemical weapons to nuclear devices. 'We cannot wait for the final proof—the smoking gun—that could come in the form of a mushroom cloud,' he said. "15. He ignored the U.N. and launched a war. 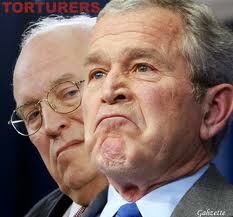 The Bush administration tried to get the U.N. Security Council to authorize an attack on Iraq, which it refused to do. Bush then decided to lead a 'preemptive' attack regardless of international consequences. He did not wait for any congressional authorization to launch a war. "16. Abandoned international Criminal Court. Before invading Iraq, Bush told the U.N. that the U.S. was withdrawing from ratifying the International Criminal Court Treaty to protect American troops from persecution and to allow it to pursue preemptive war. "17. Colin Powell’s false evidence at U.N. The highly decorated soldier turned Secretary of State presented false evidence at the U.N. as the American mainstream media began its jingoistic drumbeat to launch a war of choice on Saddam Hussein and Iraq. "18. He launched a war on CIA whistleblowers. When a former ambassador, Joseph C. Wilson, wrote a New York Times op-ed saying there was no nuclear threat from Iraq, the White House retaliated by leaking the name and destroying the career of his wife, Valerie Plame, one of the CIA’s top national security experts. "19. 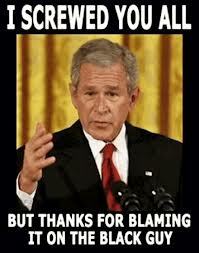 Bush pardoned the Plame affair leaker. Before leaving office, Bush pardoned the vice president’s top staffer, Scooter Libby, for leaking Plame’s name to the press. "20. Bush launched the second Iraq War. In April 2003, the U.S. military invaded Iraq for the second time in two decades, leading to hundreds of thousands of civilian deaths and more than a million refugees as a years of sectarian violence took hold on Iraq. Nearly 6,700 U.S. soldiers have died in the Iraq and Afghan wars." 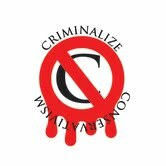 With more than 30 out of the 50 reasons to go, we urge you to go directly to the story at Alternet.org for the rest of the reasons. We're way too nauseated to continue. 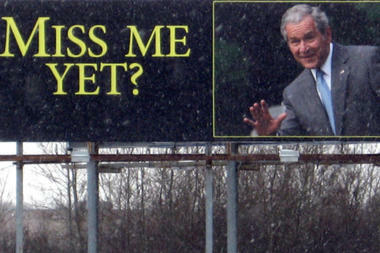 --> http://www.alternet.org/news-amp-politics/50-reasons-you-despised-george-w-bushs-presidency-reminder-day-his-presidential?paging=off. George W. Bush "...was a disaster, leaving much of America and the world in much worse shape than when he took the oath of office in 2001. His reputation should not be resurrected or restored or seen as anything other than what it was." While we didn't note Bush's regime as the reason for starting this site (http://www.criminalizeconservatism.com/p/purpose.html), without his presence in our White House, if we had never lived through those awful eight years with Cheney behind the Bush curtain, and if we hadn't suffered the depredations inflicted upon our country and others by Bush, we might never have sat down to contemplate the criminality of the Conservative cartel and initiate "Criminalize Conservatism." Bush was one of the worst Presidents in our history and a despicable excuse for a human being. share with the people the same happiness." Those who don't learn from the past, are destined to repeat it! Now Jeb wants the Presidency?